Handcrafted sterling silver .925 print wire cuff. Print is made by a press rolling mill. Stone is 14 x 10 in size. 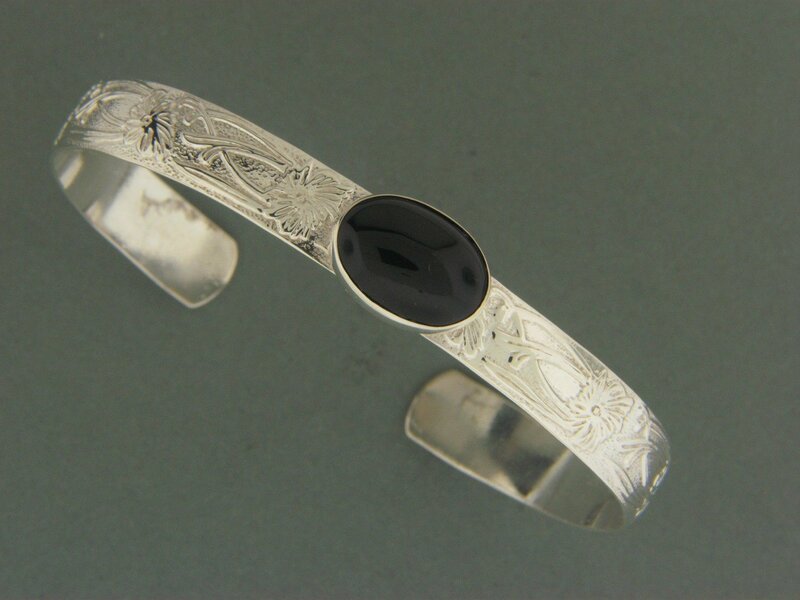 Shown with a black onyx.